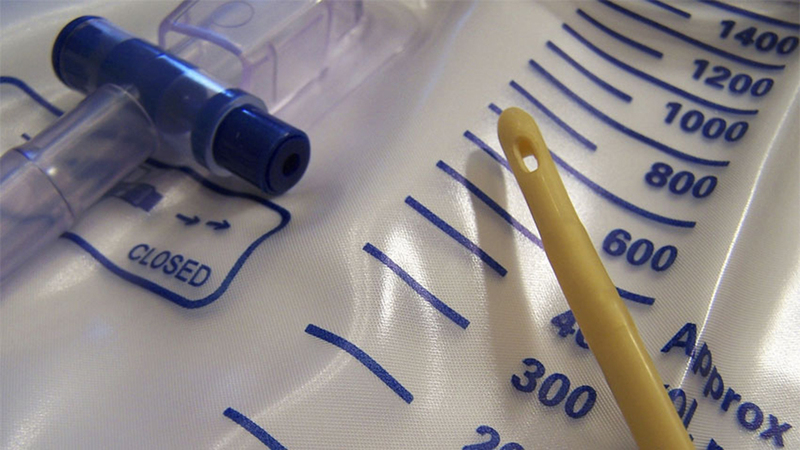 Training, checklists and data reduce catheter-associated urinary tract infections, a new study finds. Right now, about one in five hospital patients has a catheter collecting urine, increasing the risk of a painful and potentially dangerous urinary tract infection, or UTI. Many of these patients may not actually need a catheter. And none need an infection. But both catheter use and UTI rates have stayed high despite years of national attention on the issue. Now, new results from a large national effort show that it may be possible to both reduce catheter use and UTIs at the same time, saving money and reducing suffering. The findings come from a concerted effort in 603 hospitals that included training and tools for doctors and nurses, who were told how their hospital units were doing. By the end of the 18-month program, UTI rates among hospital patients in general wards had dropped by a third. Catheter use had dropped, too. Intensive-care patients didn’t see a drop in either measure, however, suggesting that more work remains. During the same time as the program, hospital-acquired UTI rates rose nationwide. The results are published in The New England Journal of Medicine. The Agency for Healthcare Research and Quality funded the large national team, which the Health Research and Educational Trust, an affiliate of the American Hospital Association, coordinated. The data come from the first phase of the Comprehensive Unit-based Safety Program to reduce catheter-associated UTIs, also called On the CUSP: Stop CAUTI. The paper’s first author, Sanjay Saint, M.D., calls the results encouraging.